There was a time when articles I wrote about EA would begin with me choosing another Elder God name to call the publisher. But these days, I’m more likely to point out another game they’re offering for free on Origin. This is a change I very much enjoy. Plants vs. Zombies Garden Warfare is the latest temporarily free game on Origin’s Game Time initiative. For 72 hours from when you fire the game up, you’ll have full access to the 24-player flora and undead war. It’s the full game rather than a demo, but once you’ve had it for 72 hours it will be over. But you’ll still be able to buy the game and continue any progress you made during the trial. Given that EA’s library tends to fall on the more expensive side of PC games, having the option to take these for a spin, where the only limitation is time, is a great way to leverage a platform that, at the moment, doesn’t have a lot of fans. 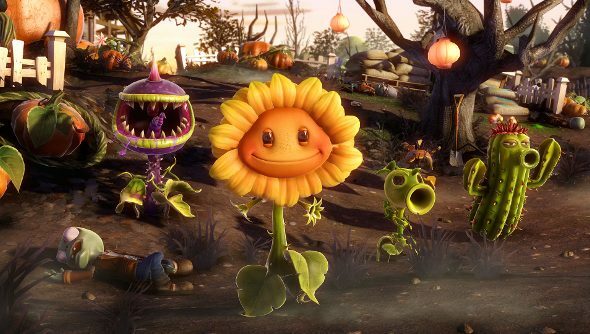 Fancy checking out Planets vs. Zombies: Garden Warfare today?